Actually ~ it really is raining...and raining...and raining! It really is pouring but I do think we need the rain. It has not rained in over a week ~ it is a good rain! It also makes for a great day to sew! And yes, sew I must! 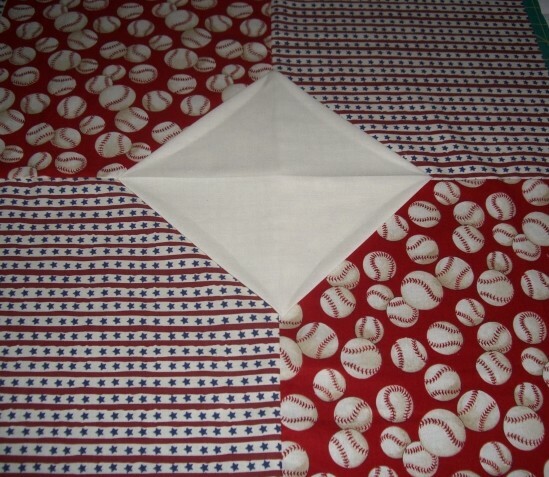 I have to finish up the top for my nephew's wedding quilt (shower is August 28th). The borders are in the works and it is looking very nice if I say sew myself! BUT NOW ~ there is another special event for a very special person that I love dearly! Someone is turning the BIG 50 and is a huge baseball fan! Party is August 27th!!! YIKES!!! I am leaning towards no sash...but must decide quickly! Sew, you see, it really is pouring quilts in my sewing room! HI HO, HI HO, IT'S OFF TO SEW I GO! This is really turning out to be a fun quilt. 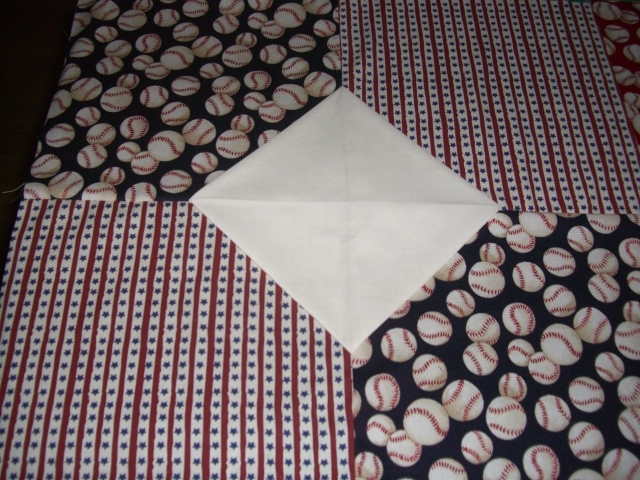 I sewed all the blocks yesterday and tonight I am going to do the "baseball" stitch on the center diamonds before assembling it. Very nice way to use your stash. 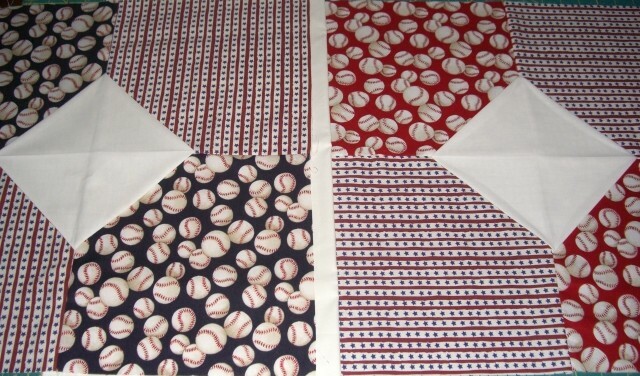 What fun fabrics! Somebody is going to love it for sure! Great fabrics from your stash. 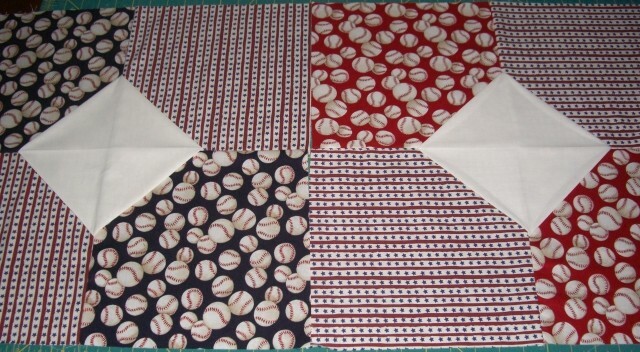 You might consider grouping the bow tie blocks in fours so they are shaped like an diamond, then sash them. Are you making the dimensional Bow Ties?